Composed by Craig Courtney. Sacred Anthem, Advent, Christ the King. Octavo. 12 pages. Lorenz Publishing Company #10/4171L. Published by Lorenz Publishing Company (LX.10-4171L). 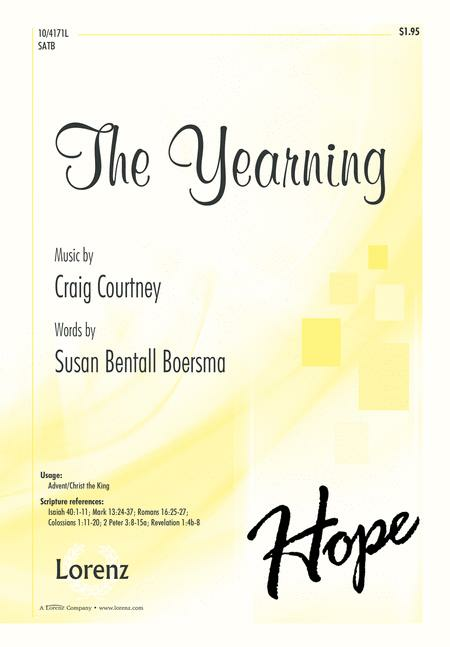 A stunning work of extraordinary power, this inspired anthem begins with a haunting melody that underscores the yearning of hearts weighed down by ancient grief and centuries of sorrow. The melody and lyrics gradually build to a dramatic climax of fulfillment that is found only in Emmanuel as His faithful people await the day of His appearing.